Grad Gift Idea: DIY Printable Bottle Tags - Inspiration - S. Martinelli & Co. This post created by Persia Lou was sponsored by Martinelli’s. It was originally published on Persia Lou on May 17, 2017. 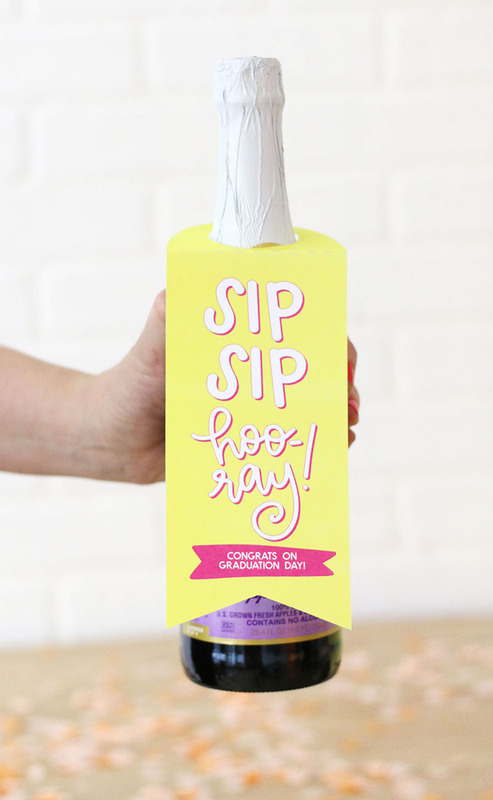 This fun and simple grad gift idea pairs sparkling cider or your favorite beverage with cute, colorful tags. Just print, cut, and gift! The days are getting longer and warmer, which means summer is coming (!!!). Summer might mean pool days, fruity drinks, and road trips, but it also means graduation is just around the corner! Do you have someone special in your life who is graduating this year? 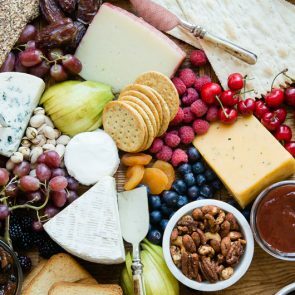 Attending any graduation parties? If so, I have a simple little grad gift idea for you all today – printable bottle tags! Aren’t they cute?! They make the perfect little treat for any graduate, or you can pair them with a little cash (because we all know those grads love the $$!) so you aren’t showing up at the party with just a card. If you are hosting a graduation celebration, these tags are perfect for you too! Just print off the tags to make the drink station more festive or hand them out as party favors. You could pair these tags with any beverage, but I chose Martinelli’s Sparkling Cider for this little grad gift idea because it’s kind of perfect for any sunny celebration. 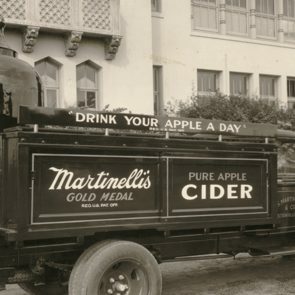 Martinelli’s is 100% juice made from fresh U.S. grown apples and just plain tastes great. (We are big fans of the Apple-Grape blend in my house!) 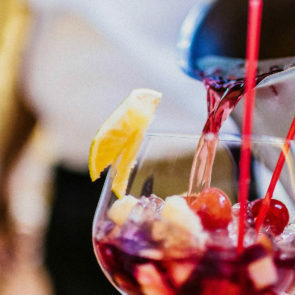 Plus, I think it is the perfect little treat for a high school grad because it totally screams celebration while still encouraging a safe and sober grad night. Win-win. Ready to make some super simple grad gifts? Let’s do it! You will just need a few supplies. When the tags are printed out, it’s time to cut. First, use a pair of scissors to cut along the outside edge of each tag. Next, fold the top of the tag back along the dotted line. This will allow the tag to fit easily over the top of the bottle and hang down nicely. Finally, cut out the circle in the top of the tag along the dotted line. To do this, carefully push your scissors through the center of the circle, and then cut to the dotted line and around. All that’s left to do is slip the tag over the top of your Martinelli’s Sparkling Cider and send your congrats to the grads in your life. A little sparkling cider plus a cute printable tag? Now, that’s my kind of a party! ? The tags come in six different designs with some different color options, so hopefully you can find one that is perfect for every grad in your life. And that’s all you need to bring a little extra sparkle to someone’s graduation this year!